The partnership between Nokia and Microsoft had been announced long ago, but the concept of cooperation between the two still have not found a bright spot and clarity. Indeed, Nokia is almost certain to sink the Windows 7 Phone mobile devices, but that's not enough to know what the concept of collaboration both. 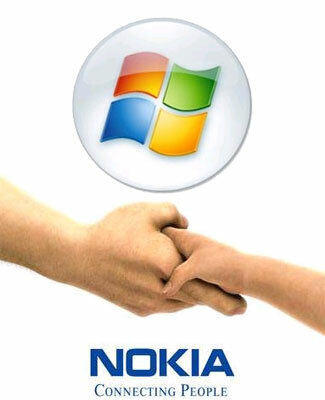 The mystery itself is increasingly becoming, when Nokia and Microsoft to find a reliable engineer. Posted through the official site, Microsoft is currently looking for skilled software engineers. The successful candidate will participate in the formation of the division between the two shops owned by Nokia and Microsoft applications. Reported Phone Arena, Thursday (3/17/2011), the job description does not define the term further, but the dominance of the software is something that has been associated with Microsoft for some time. Sharing the same online store can prove useful to Nokia because it will have control over software, distributed on his smartphone. In addition, adopting Windows 7 Phone market will allow a very large number of software developers to design software for the future of Nokia smartphones.